So if you haven’t read parts 1 and 2 of this series, you’ll want to do that to have context for this post. We’re talking about what it takes to be a healthy team member. And we’re looking at it from the perspective of the different ways they should be engaging. 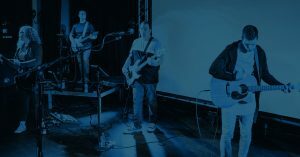 Up to this point, we’ve looked at ways team members engage with others: God, leaders, other team members, the congregation they’re leading, and their overall connection with your church. The final two of the seven ways to engage are NOT about engaging with people. But they’re crucial areas team members need to connect, commit and engage. Music is our medium. It’s our tool to both worship God and help others to worship God. To occupy oneself; become involved. I’m a complete dolt when it comes to doing most anything mechanical or carpentry related. So when I pick up a power tool, I’m timid and clumsy. A circular saw in my hand is not natural (nor is it safe for me and anyone nearby). But if you watch a gifted carpenter pick up that same saw, it’s like watching a professional quarterback drop back for a pass, or an Olympic swimmer make her flip turns. It’s a natural extension of that person. It’s because the carpenter has occupied himself with that tool over and over. 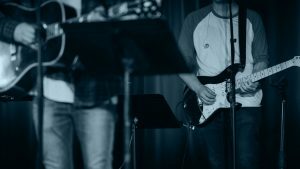 As musicians (and worship techs), we need to have a level of skill with our instruments that allow us to engage in it effortlessly. That will enable us to worship, and lead worship, more freely. To attract and hold fast. As musicians, there is a real sense that the music engages us. We are attracted to it and held by it. You can tell the difference between a person executing the mechanics of a song correctly and a musician who’s IN the music. There’s a feel and an emotional connection. And it’s those musicians who evoke an emotional response in their listeners. 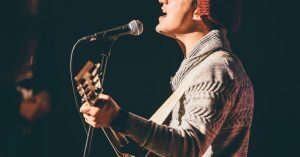 Don’t get me wrong; leading worship isn’t about eliciting an emotional response from the congregation. But good music evokes emotion, and worshiping God is something to be done with our heart, soul, mind and strength. The last time I checked, emotions are a part of all that. 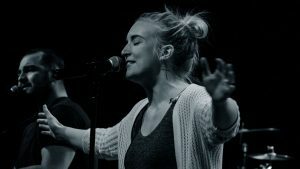 So yes, we want to avoid being so caught up in the music that we lose sight of the Object and Subject of our worship. But a mechanical or clumsy or unfeeling execution of a song is equally detrimental to gathered worship. What do I mean by that? Every great team has systems and processes to make it efficient and effective. An NFL team will never see the Super Bowl without its team members committing fully to a system of practices, workouts, and plays. So our team members need to commit to the systems and processes that make it run efficiently and effectively. Let me define a system: A system is simply the way you or your organization’s way to get things done. 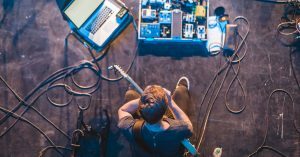 So think about all the systems your worship ministry has: scheduling, music planning, chart & mp3 distribution, communication, rehearsals, new musician qualification, and on and on. We don’t have time to talk about ministry systems in depth now. But what’s important for this discussion is to understand that a system is only as good as people’s commitment to it. As part of the condition of being on the team, each member is obligated to the systems that make the team effective. For instance, my team is required to confirm their scheduled times in our worship planning application. 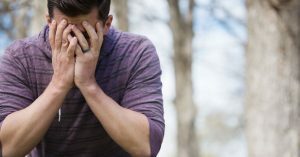 That same commitment requires them to find their replacement if they cannot make a scheduled time (and didn’t block out their dates ahead of time). 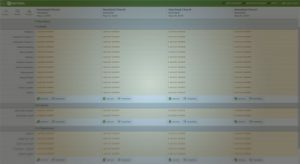 This creates an effective system that helps the team member own the scheduling process (and keeps me from chasing down substitutes and scrambling to cover last-minute call-offs). Healthy, intentional and productive systems help to interlock team members. It allows them to do more together. My system of scheduling requires team members to depend on each other, rather than let everything default to the leader. Here’s another example of team members engaging with a system: If your team members buy into a “system of preparation” that encourages personal practice and effective rehearsals, then that system is a tool for helping team members engage with one another, their leaders and the congregation. 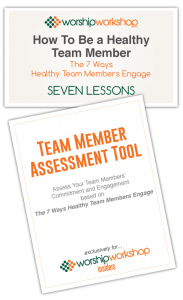 So let me ask you this: After hearing about all seven ways healthy team members should engage, how do you think YOUR team is doing? If you’re like most leaders, thinking through all these areas of commitment for every one of your team members is downright overwhelming. Because of that, I want to give you two free tools to help you start to assess and train your team members towards healthy engagement. The first tool is a 7-lesson class designed to teach this stuff to your team members. Each lesson is only 3 or 4 minutes (tops), so you can show it to your team all in one sitting, or just one-a-week at rehearsal. The second tool is a self-assessment that you can put in the hands of each of your team members. Again, free. After watching the training videos, your team member will see areas where he or she can engage more deeply. And if they identify their growth areas (rather than you pointing them out), they’re much more likely to do the work.